April 2, 2010 --The Arkansas State University Wind Ensemble will perform in the College Band Directors National Association (CBDNA) Performance and Tour in Las Cruces, N.M., Saturday, April 10. The performance will take place at 2 p.m. at Atkinson State Hall on the campus of New Mexico State University. A special send-off, open to the public, is planned for the group who departs by bus Tuesday, April 6, at 11:30 a.m. from the parking lot behind the Fine Arts Building, 2412 Quapaw Way, Jonesboro. In addition to the performance at New Mexico State, the ensemble will make several stops along the way to perform. The ensemble will play its first performance April 6 at 7:30 p.m. at Lake Hamilton High School in Pearcy, Ark., followed by a second performance Wednesday, April 7, at 7 p.m. at McMurry University in Abilene, Texas. Once the group arrives in Las Cruces April 8, it will perform at the Las Cruces High School Thursday evening, Alamogordo High School Friday morning and Onate High School Friday afternoon. The band will give its final performance Saturday afternoon, April 10, before returning to ASU. Under the direction of conductor Dr. Tim Oliver and guest conductor Kenneth Carroll, the ensemble will perform selections from “New Dance, Op. 18c” (1935) by Wallingford Riegger, “Serenade for Trumpet and Wind Ensemble” (2006) by David Sampson, “The Federal” (1910) by John Philip Sousa and Timothy Rhea, “Art(isms)” (2010) by Randall Standridge, “Hold This Boy and Listen” by Carter Pann and “Tall Tales: Pecos Bill” (2009) by Jonathan Bartz. The CBDNA is one of the largest and most prestigious organizations for collegiate wind ensembles in the world. Arkansas belongs to the Southwestern region, which includes Missouri, Texas, Oklahoma, Kansas, Colorado and New Mexico. Arkansas State University was the only university selected to perform from Arkansas. Other bands selected are from Kansas State University, New Mexico State University, Texas Tech University, the University of Colorado, the University of New Mexico and the University of Texas-El Paso. Dr. Oliver is the director of bands and coordinator of wind and percussion studies at Arkansas State University. He is the conductor of the wind ensemble, teaches courses in graduate and undergraduate conducting and music education and supervises student teachers. Some of his instructors include Daniel Peterson, Thomas Trimborn, Clifford Madson, and James Croft. He also considers Arthur Chodoroff as a significant influence and mentor. 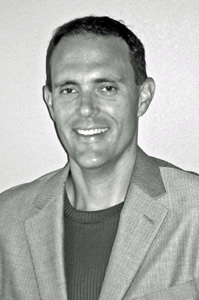 Carroll is an associate professor of saxophone and director of athletic bands at ASU. He is nationally recognized for his work in marching band drill design and continues to create marching shows for every level of performance. Dr. Christopher Wilson is the trumpet soloist for the performances and is a recently appointed artist/assistant professor of trumpet at ASU. He teaches courses in applied trumpet and trumpet methods, as well as performs in the Arkansas State Faculty Bass Quintet. ASU Wind Ensemble personnel who will perform at the conference include: piccolo; Hannah Sneed, Republic, MO; flutes; Erynn Fenner, Jonesboro; Angel Hamill, Marion; Lauren Henderson, Piggott; Caitlin Proctor, Conway; Oboes; Lauren Crum, Oxford, Miss. ; Sara Bedingfield, Nashville, Tenn.; Pamela Masterson, Homestead, FL; bassoons; John McFalls, Searcy; Kellie Laughlin, Piggott; clarinets; Elizabeth Biggs, Jonesboro; Michelle Davis, Jonesboro; Brittany Einhorn, Cabot; Amelia Middleton, Russellville; Kimberly Roberson, Morrilton; Chris Van Brook, Hoxie; Samantha Vaughn, Piggott; bass clarinet; Se’Bastien Isom, Paragould; contrabass clarinet; Scott Dunkin, West Memphis; also saxophones; Bobby Coyle, Piggott; Shawn Crawford, Paragould; Clinton Curtis, Trumann; T.W. Langevin, Glencoe; tenor saxophone; Allen Adcock, Bono; baritone saxophone; Josh Carter, Jonesboro; trumpets; Meagan Conley, Luxora, Joseph Curtis, Trumann; Sara Garland, Jonesboro; Tim Moore, Dexter, MO; Antonio Starks, Jonesboro; Jon Stevenson, North Little Rock; horns; Megan Bishop, Paragould; Rhonda Herring, Jonesboro; Jeremy Lloyd, Gosnell; Dr. Robin Dauer, ASU Department of Music faculty; trombones; Devondre Hince, Jacksonville; Kade Holliday, Jonesboro; Jonathon McAlister, Marion; Kyle O’Brien, Batesville; bass trombone; Nathan Waddell; Jonesboro; euphoniums; Jake Davis, Piggott; Zack Rikard, Hardy; Matt Watson, Walnut Ridge; tubas; Daniel Chappell, Dexter, MO; Kory O’Brien, Batesville; Andrew Van Brook, Hoxie; percussion; Addison Boling, Jonesboro; Dylan DiMauro, Bolton Landing, NY; Trent Duff, Pocahontas; Seth Gaskill, Paragould; Jonathon Odom, Poplar Bluff, MO; Justin Ray, Paragould; Jarrett Tedder, Paragould; piano; Chaz Allen, Springdale. The ASU College of Fine Arts is the only college in Arkansas dedicated exclusively to the Arts. The college comprises the Departments of Art, Music, Theatre and the Fowler Center. The college helps students, majors and non-majors alike develop their artistic talents and raise their awareness of our artistic heritage. College facilities include two performance halls, two theatres and two art galleries. Students and faculty within the college present more than 300 visual, performing and cultural events annually while alumni maintain careers in diverse creative and performance areas.